ENDOR™ 3.5 is for reducing the symptoms of moderate cases of itchy flaky white capped skin, eczema, rosacea. It may also reduce the irritation of insect bites. 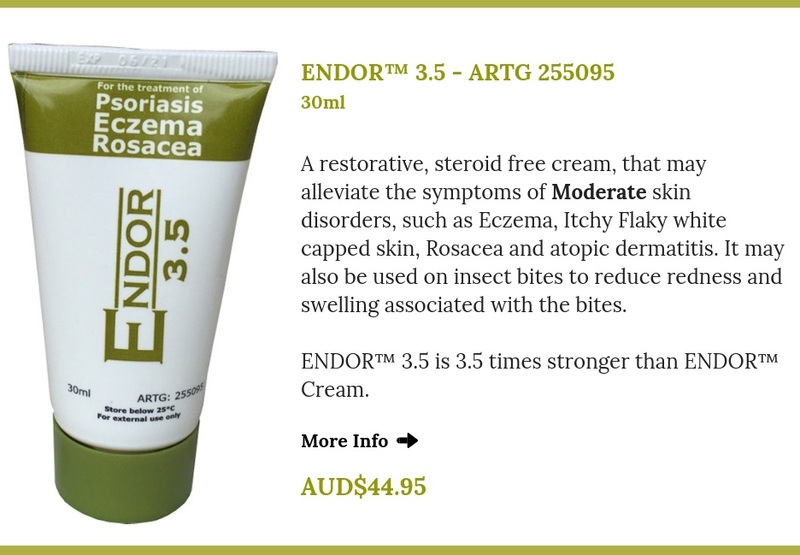 ENDOR™ 3.5 is 3.5 times stronger than ENDOR™ Cream. If symptoms persist, talk to your healthcare professional. In our blog you can find the list of FAQ about ENDOR™ 3.5. Please click here to read it. Aqua, Glycerin, Cetearyl Alcohol, Stearic Acid, Steareth 21, Dimethicone, Oleic Acid, Panthenol, Phenoxyethanol, Benzoic acid, Dehydroacetic acid, sodium citrate.